A dual-location law school is the recommendation of a task force established by President James Abbott to investigate a potential move of the law school. 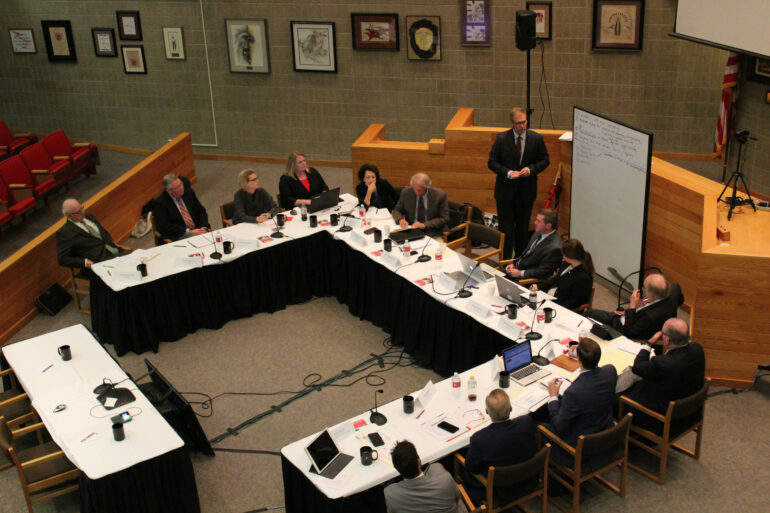 The 13-member task force had their third meeting today, where they passed motions to recommend that the law school open a new facility in Sioux Falls. Classes and programming will continue in Vermillion with additional classes and programming in Sioux Falls. Their recommendation will be passed up to the president, who can choose to send it to the South Dakota Board of Regents. From there, the BOR would make requests to the governor, who would put them in the budget proposal for the next legislative session. A new task force will be established to work out the details of the transition. The Volante will post updates to this story as they become available.